If you are looking to thoroughly clean your business, as well as reduce bacteria and allergens on your surfaces, look no further than microfiber mops and towels for all of your cleaning needs. While it may seem like ordinary mops and towels are enough to keep your business clean, they may be leaving behind more dirt and dust than they appear to be. If you are looking to thoroughly clean your business, as well as reduce bacteria and allergens on your surfaces, look no further than microfiber mops and towels for all of your cleaning needs. Because of their ability to trap and remove dust, dirt, and bacteria, microfiber mops and towels clean floors and other surfaces like no other product. Microfiber mops and towels are proven to be a healthier option in reducing cross contamination, and a more cost efficient cleaning option, needing very little maintenance over time. Although their differences are visible to anyone using them, cotton and microfiber mops offer a stark contrast in cleaning quality. Whereas traditional cotton mops are notorious for simply pushing and redistributing dirt around your surfaces, microfiber mops and towels are recognized for their ability to instantly lift moisture, dirt, and dust from various surfaces, leaving very little behind on your floors or countertops. This difference alone yields a visible, more distinct level of cleanliness in your business, leaving your restaurant, storefront, or office with the most presentable surfaces and a spotless reputation. Although we are nearing the end of flu season, it is never too late to prevent illness in your business with professional help. Let Lord Baltimore handle the cleaning and sanitation of your microfiber products, including color coded wet mops, dust mops, and surface dusting cloths. Additionally, we also supply your business with hysorb mops as needed for heavy duty cleanup. 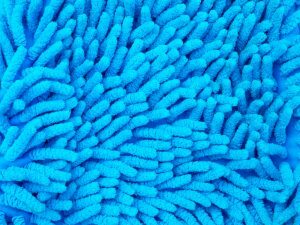 Our professional cleaning service for microfiber materials is an excellent means of infection control for your business, providing you with freshly laundered microfiber materials and eliminating the issue of cross contamination that is often caused by ordinary mops. For over forty years, Lord Baltimore has provided cost-effective uniform and microfiber rental services throughout the East Coast, including Maryland, Washington DC, Northern Virginia, Southern Pennsylvania, and Delaware. To learn more about how microfiber cleaning materials can make your business more hygenic and economical, please contact Joe Bateman at Lord Baltimore by calling 800-292-1224 or visit LordBaltimoreUniform.com. We also handle towel rental for gyms and salons, as well as apron, towel, uniform and mat rental and purchase for restaurants. Additionally, we also sell and rent uniforms, shop towels, fender covers and mats for manufacturing and automotive industries. You can also follow Lord Baltimore on Facebook, Twitter, LinkedIn, and Google+. This entry was posted on Friday, February 23rd, 2018	at 10:16 am	. You can follow any responses to this entry through the RSS 2.0	feed. Both comments and pings are currently closed.